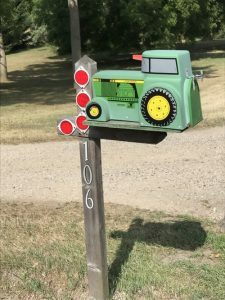 Please Mr. Postman, Doug’s now in OHIO! Not that SMARTS is trying to give Doug one of his daily earworms, but the 1961 tune sung by the Marvelettes seems apropos for this post. 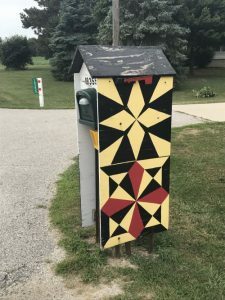 You see, all along the way of Going the Distance for SMARTS, he’s been photographing creative interpretations of mailboxes that he’s passed by. These 2, one from Ann Arbor, MI and the other from Elmore, OH signal a very important milestone. 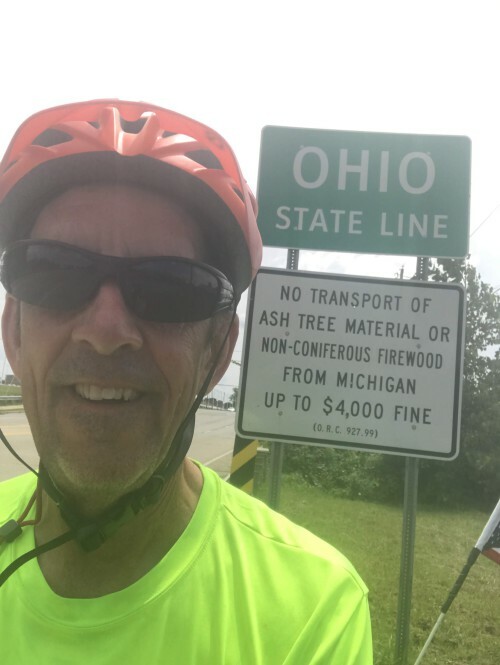 Doug Smith has reached Ohio! 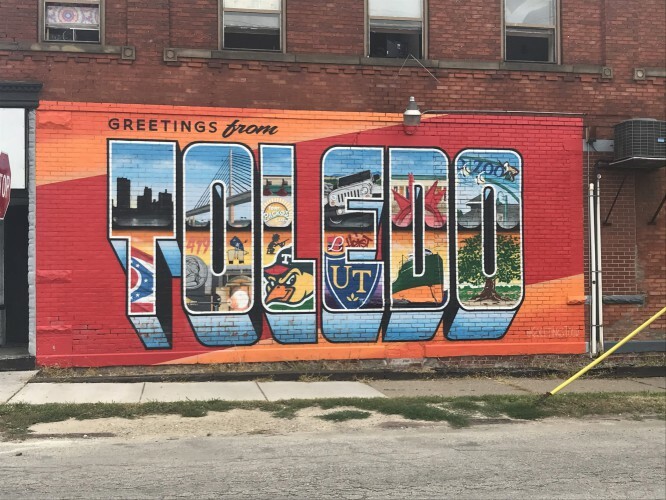 We also give a shout-out to Toledo for their nice city mural. Geographical signs have been another photo subject on Doug’s trek. Follow Doug’s creative and generous journey at our SMARTS website at https://www.smartsartschool.org/going-the-distance-journey/ and our SMARTS Facebook page at https://www.facebook.com/SMARTSartschool/. 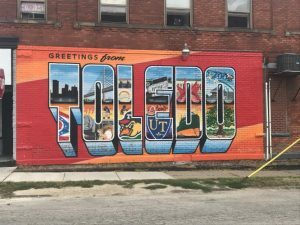 Please join us at SMARTS this Friday at 10 to celebrate Doug’s birthday as he rides through Youngstown this week! There will be plenty of cake and great stories of Doug’s journey for SMARTS.